Has Disha Vakani aka Dayaben given 30 days notice to return on the show? Taarak Mehta Ka Ooltah Chashmah is undoubtedly one of the most loved comic show on Hindi Television. 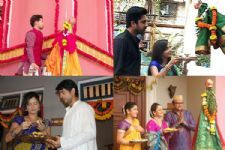 The show is still witnessing a successful run even after completing a decade. But one interesting thing about the show is that the makers have managed to keep the same cast since the start of the show. All the actors of the show have become household names and their characters have really become their identity now. 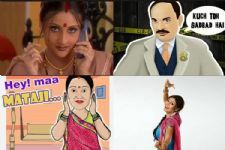 But in 2017 when the central character of the show Dayaben aka Disha Vakani left the show owin to her family responsibilities, the news left everyone in shock. Post her maternity break, the actress hasn't returned to the show. There have been multiple reports of Disha not returning to the show because of high fees demand and various reasons like this, but nothing has been confirmed yet. Amidst all the reports and rumors, the latest we hear is that Disha has been given 30 day ultimatum by producer Asit Modi. As per some media reports, Disha has been given a notice period of 30 days else she will be replaced by the makers. The sources say that Asit Modi and the whole crew waited for a long period of time for Disha, but now they have decided to give her ultimatum and if she doesn't return, they will have to find her replacement. We really hope Disha returns as Dayaben in the show as fans are eagerly waiting to see her back on screen. Well, if at all she doesn't return, it would be intriguing who the makers will cast in her role. This Naagin actor will be seen in Alt Balaji's show Boss.. I agree with the below comment... Daya is a very important character is the main lead Jethalal's wife in short the female lead. Though by God's grace the show is running successfully even in her absence what is this i dont understood !! She took a 3 years maternity leave which basically no producer grants !! Either they kill the character or they replace it !! 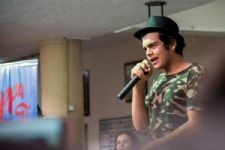 But as Tmkoc is a comedy drama its not possible to kill daya !! So she have to come back or i am sure there are plenty of actresses who are eager to play daya's role !!... The worst part is i am sure bcoz of this reason popatlal's marriage track is not coming after all daya's presence is very important in his marriage track. Lets see what happens but i will be very happy if disha only comes back as daya !! I just wish nobody gets replaced from the old cast we already lost Azad Kavi ji ! Since 2-3 months i had stopped watching tmkoc but being an ardent follower i still keep myself updated ! Daya is my favourite and without her i watched the show for around 3 years but no not anymore. Either disha have to come back else makers will have to act strict... I mean for how many years daya will stay in her Ahmedabad pol !!! Good to know that Asit Modi has finally taken harsh step towards her. She and her husband had taken the show for granted. Nobody has been given 3 years of maternity leave which she got. It's high time that a closure is given to this matter.